From product reviews to interviews with MDs, The Body Shop stepped up its content game this year. High-quality editorial complements its first-class recommendation engine on web, email and mobile -- powering a digital-first personalization strategy that’s turning a major return on investment. Natura, The Body Shop’s parent company, reported a 24.5% increase in net revenue for the year, increasing net income by 117.5% at a whopping $203 million. 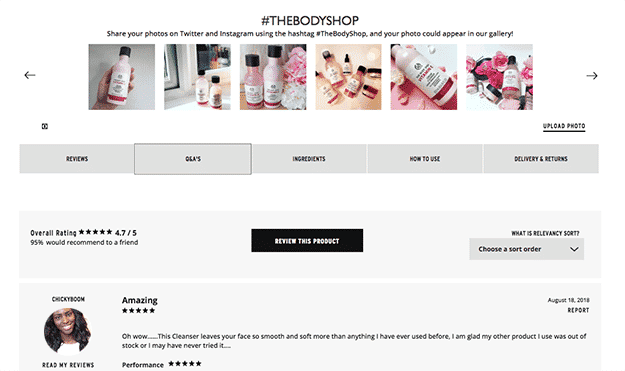 Customers can’t get enough of The Body Shop’s omnichannel options, where a visual hierarchy of attribute-based recommendations organize products by color and category. The brand’s abandoned cart emails are unique with playful copy, full of on-brand voice and every detail is personalized with recommendations that improve with customer engagement. 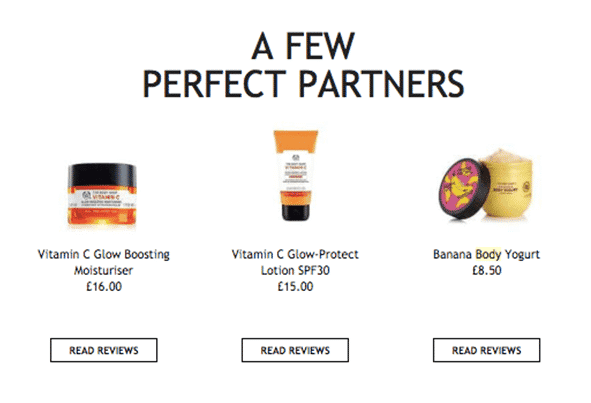 Not only is The Body Shop’s website rich with recommendations, its UX makes for a seamless shopping experience. Once on a product page, there is a wealth of information for shoppers to consider. In addition to a helpful chatbot, the ingredients and how to use sections ring true to the brand’s organic and cruelty-free values. Tapping into its loyal community with user generated content, a robust questions and answers module gives customers another way to evaluate its inventory. The Body Shop personalizes abandoned cart emails with light-hearted subject lines and hyper-relevant product recommendations that match your unique skin type. Its sharp email design visually organizes products by color, streamlining bestsellers and curated products. 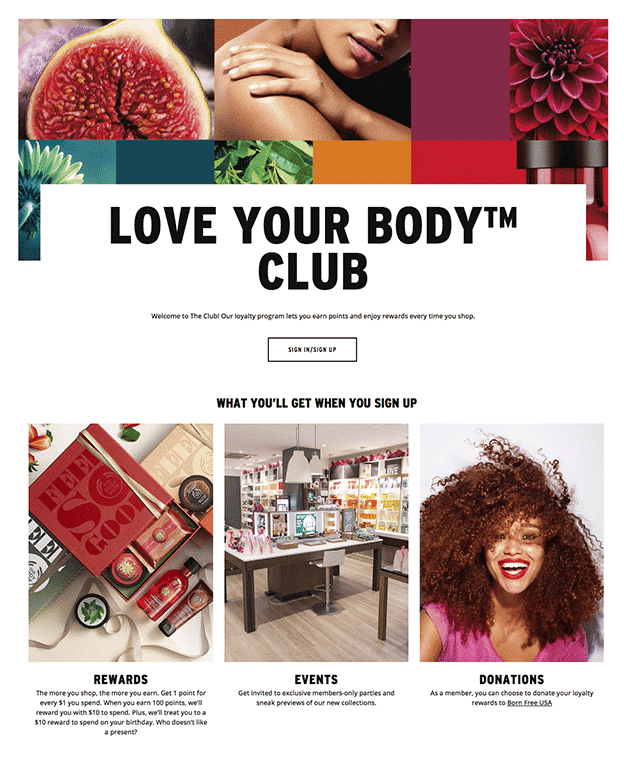 The Body Shop’s “Love Your Body” rewards club gives shoppers exclusive perks to redeem birthday offers, discounts, members-only events, and easy access to points for purchases and member savings.